Disclaimer: I received Brio's Remote Control Travel Train for free in exchange for my honest review. 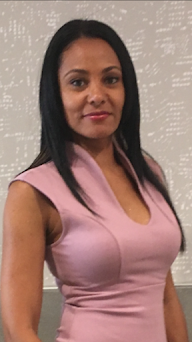 All reviews are my own QueensNYCMom always provides honest opinions, beliefs or experiences on products reviewed. This is my personal experience using this product and is my own. We will only recommend products or services that we feel are of benefit to our readers. The disclosure is done in accordance with the Federal Trade Commission 10 CFR, Part 255 Guides Concerning the use of Endorsements and Testimonials in Advertising. If you have a product and/or want to sponsor a giveaway email Anita at QueensNYCMom(at)gmail(dot)com. Since "Goldie & Bear" premiered in September of 2015 it has captivated everyone young and old. Disney Junior's has a hit series with “Goldie and Bear.” After the fairytale story ended, Goldie and Bear began an awesome friendship. They have amazing adventures where they play, laugh and learn important lessons in Fairy Tale Forest. 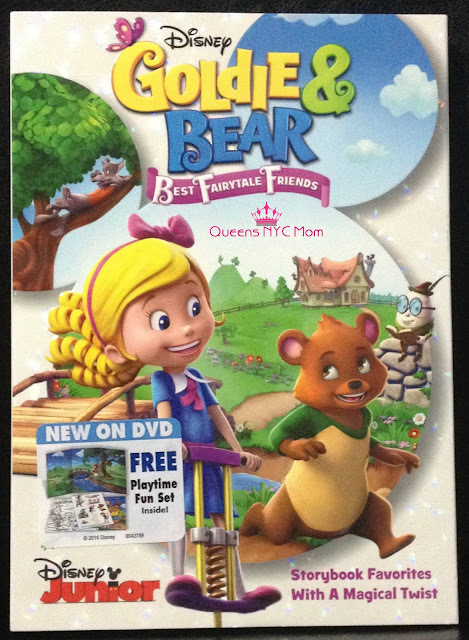 Goldie and Bear: Fairy Tail Friends DVD has 7 episodes with 2 hours of classic fairy tales with a twist! Bonus it includes a FREE exclusive playtime fun activity kids would you re-useable stickers and more. This DVD is available on April 19 to purchase. With well-known characters from fairy tales, folk tales and nursery rhymes such as Little Red Riding Hood, the Big Bad Wolf (or Big Bad as they call him). Your favorite characters all together in one place. This DVD is great for family movie nights. With the printable activity sheets included you can have a super fun night with your family. All of these episodes are included in this DVD. The DVD also features languages in English, Spanish and French. Giveaway time I will be giving away this DVD plus 4 books giveaway. Win it! 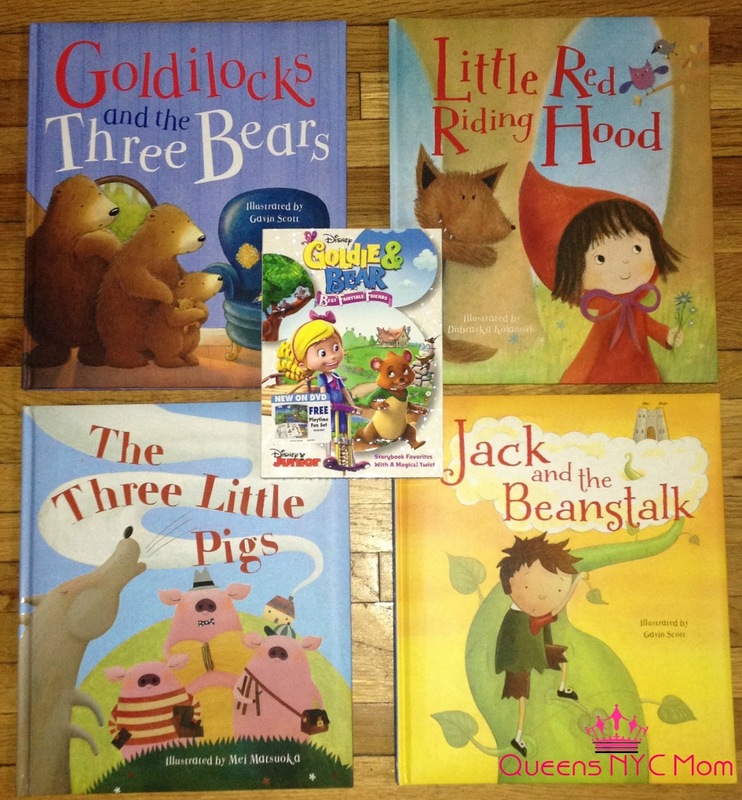 One of my readers will win their own copy of the Disney DVD Goldie and Bear: Fairy Tail Friends + a bonus 4 books including "The Three Little Pigs, Little Red Riding Hood, Jack and the Beanstalk and Goldilocks and the Three Bears." You can enter using Giveaway Tools. Must be 18+ in USA only to enter and all entries will be verified. I would give this great prize pack to my grandson, I know that he would like me to read him all those nice books. I would give this awesome DVD to my granddaughter, thanks! If I won this would be for my 4 year old daughter. I would give this to my four year old son. I'd love to win this for my 3 daughters.